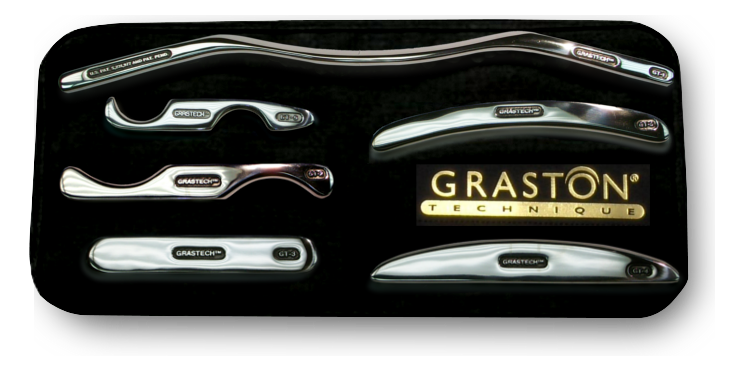 The Graston Technique is a soft tissue mobilization procedure that utilizes stainless steel instruments to detect and resolve scar tissue and fascial adhesions that can disrupt normal function. It has been clinically shown to be effective on acute and chronic injuries as well as pre- and post-surgical patients by decreasing treatment time and speeding up the recovery process. Only clinicians who have been trained and certified in the Graston Technique are qualified to use the tools.